Hungarian Academy of Sciences seat in Budapest, founded in 1825 by Count István Széchenyi. The culture of Budapest is reflected by Budapest's size and variety. 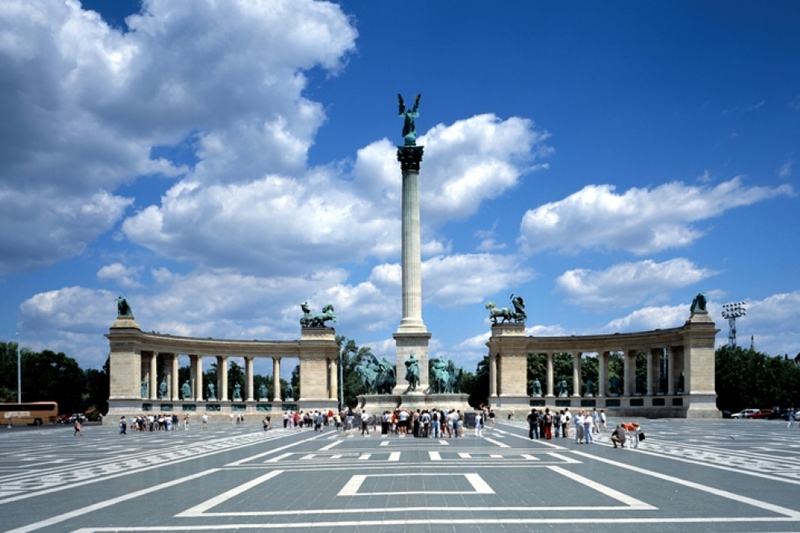 Most Hungarian cultural movements first emerged in the city. Budapest is an important center for music, film, theatre, dance and visual art. Artists have been drawn into the city by opportunity, as the city government funds the arts with adequate financial resources. Budapest is the headquarters of the Hungarian LGBT community. Budapest is packed with museums and galleries, and there are plenty of temporary exhibitions in the most unlikely of settings, particularly in summer. 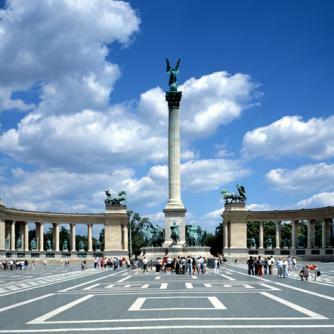 The city glories in 223 museums and galleries, which presents several memories, not only the Hungarian historical, art and science ones, but also the memories of universal and European culture and science. Here are the greatest examples among them: the Hungarian National Museum, the Hungarian National Gallery, the Museum of Fine Arts (where can see the pictures of Hungarian painters, like Victor Vasarely, Mihály Munkácsy and a great collection about Italian art, Dutch art, Spanish art and British art from before the 19th century and French art, British art, German art, Austrian art after the 19th century), the House of Terror, the Budapest Historical Museum, the Aquincum Museum, the Memento Park, Museum of Applied Arts and the contemporary arts exhibition Palace of Arts Budapest.In Budapest there are currently 837 different monuments, which represent the most of the European artistic style. The classical and unique Hungarian Art Nouveau buildings are prominent. Sziget Festival Budapest. One of the largest music festivals in Europe provides a multicultural, diverse meeting point for locals and foreigners every year. Several annual festivals take place in Budapest, such as Sziget Festival, one of the largest outdoor music festival in Europe, the Budapest Spring Festival presents on concerts at several venues across the city. The Budapest Autumn Festival brings free music, dance, art, and other cultural events to the streets of the city. Budapest Wine Festival and Budapest Pálinka Festival occurs each May and gastronomy festivals focus on culinary pleasures. Budapest Pride (or Budapest Pride Film and Cultural Festival) occurs annually across the city, and usually involves a parade on the Andrássy Avenue. Other festivals include the Budapest Fringe Festival, which brings more than 500 artists in about 50 shows to produce a wide range of interesting works in alternative theatre, dance, music and comedy outside the mainstream. The LOW Festival was a multidisciplinary contemporary cultural festival held in Hungary in the cities Budapest and Pécs from February till March. The name of the festival alludes to the Low Countries, the region encompassing the Netherlands and Flanders. Budapest Jewish Summer Festival, in late August, is also one of the largest in Europe. There are many symphony orchestras in Budapest with the Budapest Philharmonic Orchestra being the preeminent one. It was founded in 1853 by Ferenc Erkel and still presents regular concerts in the Hungarian State Opera House and National Theatre. The dance tradition of the Carpathian Basin is a unique area of the European dance culture, which is also a special transition between the Balkans and Western Europe regions. The city is home to several authentic Hungarian folk dance ensembles which range from small ensembles to professional troupes. Budapest is one of the few cities in the world where a high school for folk dance learning exists. Get to know our capital city!